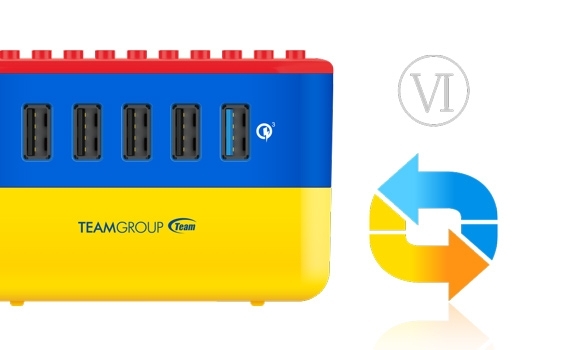 WD02“Brick Charger” is capable of charging five devices simultaneously with 1~4 ports support up to 5V/2.4A (8A of total output). The fifth port supports Qualcomm QC3.0 (5V/3A; 9V/2A; 12V/1.5A) Quick Charge technology. Consumers don’t have to worry about having insufficient power supply anymore. 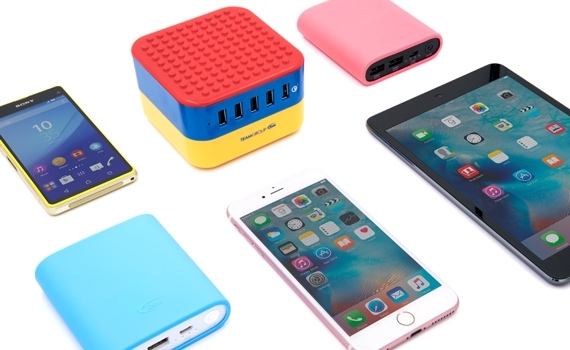 Whether it is a smartphone, tablet, power bank or other portable devices that support USB interface, it can fast charge everything with awesome performance. Built-in Smart IC chip provides maximum charging efficiency and a more efficient charging experience for consumers’ smartphone and tablets. It is also compatible with different versions of iOS or Android systems. WD02 “Brick Charger” supports Qualcomm QC 3.0 Quick Charge technology. 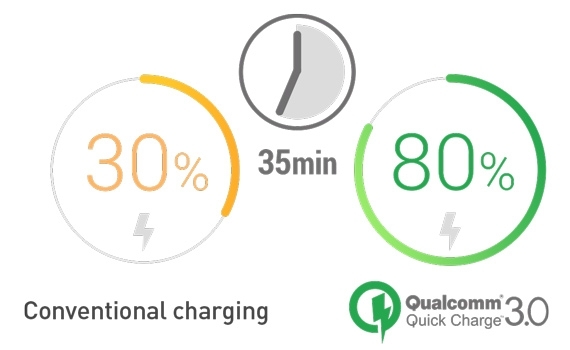 If your mobile device is QC 3.0 Quick Charge ready, then you are able to enjoy an ultra-high speed charging experience that only takes 35 minutes to charge from 0% to 80%.The charging speed is 38% faster than the QC2.0 Quick Charge technology and 45% less power consumption. It is also nearly twice as fast as the charging speed of QC1.0. 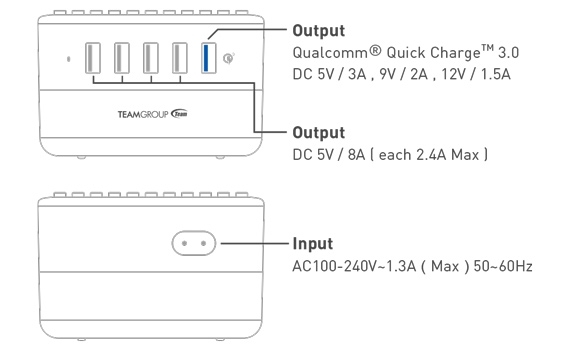 WD02 “Brick Charger” supports Qualcomm QC Over current protection (OCP), over voltage protection (OVP), short circuit protection (SCP) and over temperature protection (OTP). Multiple circuit protection safety designs provide extra protection for your devices. 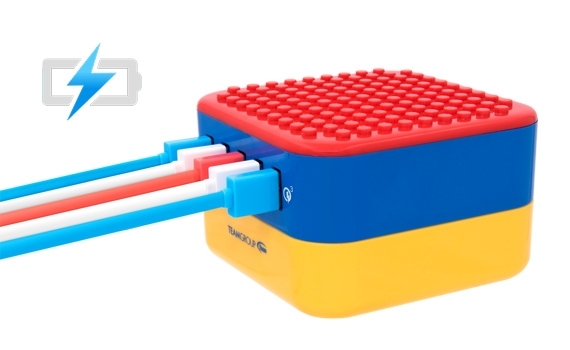 WD02 “Brick Charge passed through multi-national regulations and certifications. Safety and quality are guaranteed. High-efficiency energy conversion, low energy consumption, and low no-load power consumption. Energy saving certification of the highest Level VI standard. 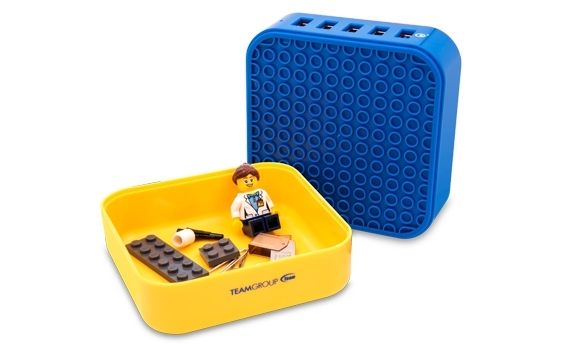 WD02 “Brick Charger” is compatible with Lego bricks. The colorful body has red, blue and yellow three different colors. 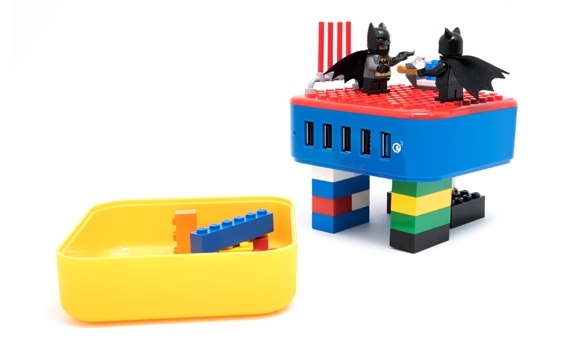 Consumers can have lots of fun by building up their own Lego creation freely and creating a personal desktop power charger with unique playful style. 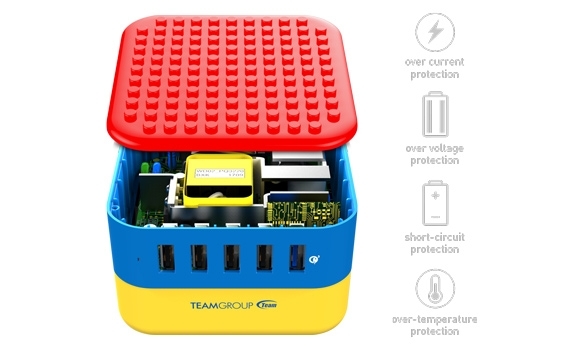 WD02 “Brick Charger” perfectly combined both storage box and the product itself into one. 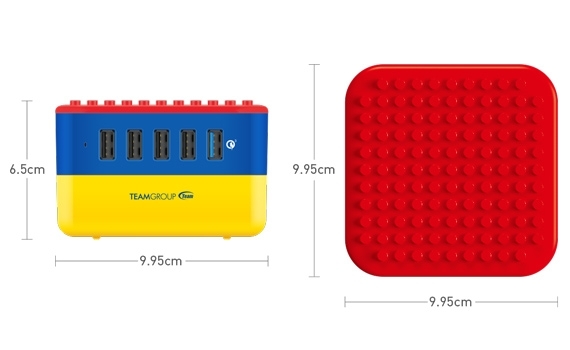 With the thoughtful storage box design, consumers don't have to worry about having no space to place their personal belongings such as business and ID cards, portable cables, toys, Lego bricks, small stationeries, etc. With the liberal design that can combine and separate, WD02 is not only a desktop USB power charger, it is also capable of transforming into an eye-catching multifunctional storage box.